The training will consist of theoretical and practical training during stages of the growing periods, maintain basic water quality, operate and maintain irrigation systems and perform basic routine operations in a defined hydroponics context. Target Group: Farmers or farm workers that are farming with hydroponics and plants. * All our courses are SAQA accredited. To view the different NQF Levels, click on the column title. 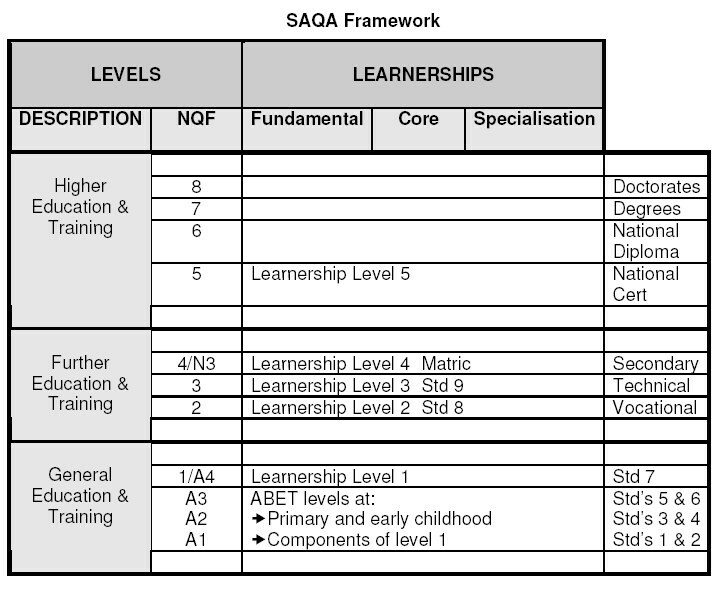 Background information of SAQA and NQF Levels ia available under Terminology in the sub menu above.